Hanzos Dojo is a slot designed by Yggdrasil software which features 5 reels along with 25 paylines. The reels have a Japanese setup and are actually based on Hattori Hanzo, a famous sensei. He provides a wonderful training ground for some fierce fighters. Those who love fighting and sensei should check it out. Hanzos Dojo is payable across all the devices varying from 25p up to £125 for each spin. The symbols here include Tsuru cranes, waves, wind storms and cards having bonsai trees on them. Some fighters like fan fighter, sumo, ninja, samurai battle in order to become the ultimate warrior. There is a Rooftop Slot Feature which shows up above the reels. This feature will get triggered when symbols are landed in a mini slot machine. Also, there are some wild symbols which will expand down to the main reel set. Up to three free spins (mini) will be awarded three mystery symbols land thereby granting access to Free Spins round along with additional extras. The Free Spins round can also be triggered when at least three scatter symbols land on the reels and each symbol will fetch you three free spins. Don’t miss out the Dragon Free Spin Symbols since it will fetch you four free spins along with an additional feature. The slot has a return to player percentage of 96.1%. There is a wide variety of extras which can help you win big with the highest win going up to 2,100x the amount at stake. Keep your eyes on the extra symbols which appear during free spins round in order to win some big rewards. 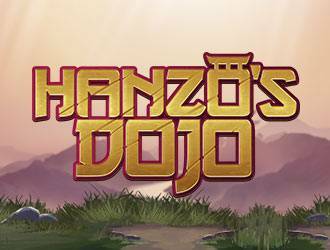 Thus, Hanzos Dojo with a medium variance is a must try if you like fighting-themed slots.